2018 NYC Marathon U.S. Men’s Preview: 43-Yr Old Bernard Lagat Debuts, & Who Will Step Up With Galen Rupp On The Shelf? The 2018 TCS New York City Marathon is upon us, and, as usual, there will be some studly international runners and a deep American field lined up on the Verrazano-Narrows Bridge on Sunday morning. This year’s men’s race is really two races: the battle for the win, and the battle for top American honors as let’s be honest, no American male marathoner not named Galen Rupp has a prayer of winning a major right now and Rupp has never run NY. 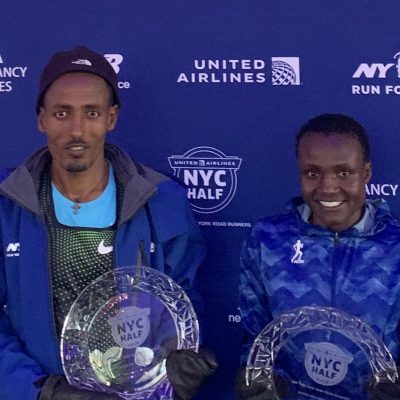 In the former, New York brings in three major marathon champions from 2017 in Ethiopian Tamirat Tola (Dubai) and Kenyans Daniel Wanjiru (London) and Geoffrey Kamworor (New York). Two-time Boston champ Lelisa Desisa (who was 2nd in NYC in ’14 and 3rd in ’15 and ’17) is also entered, as is the intriguing Shura Kitata, who is coming off a 2:04:49 pb in London, where he finished second behind the great Eliud Kipchoge. One of those five men will win the race. For more on that, read our full men’s preview: Who Is Going To Win The 2018 NYC Marathon? Geoffrey Kamworor Defends As 2:04 Men Tamirat Tola & Shura Kitata Chase First WMM Victory. Behind them, there is a hungry American field that includes Shadrack Biwott (3rd in Boston in April), Chris Derrick (running his second marathon after a 2:12 debut last year in Chicago), NAZ Elite teammates Scott Fauble & Scott Smith, and 2016 Olympian Jared Ward, but perhaps it says a lot about the current state of US men’s marathoning that two of the top American entrants are over the age of 40. 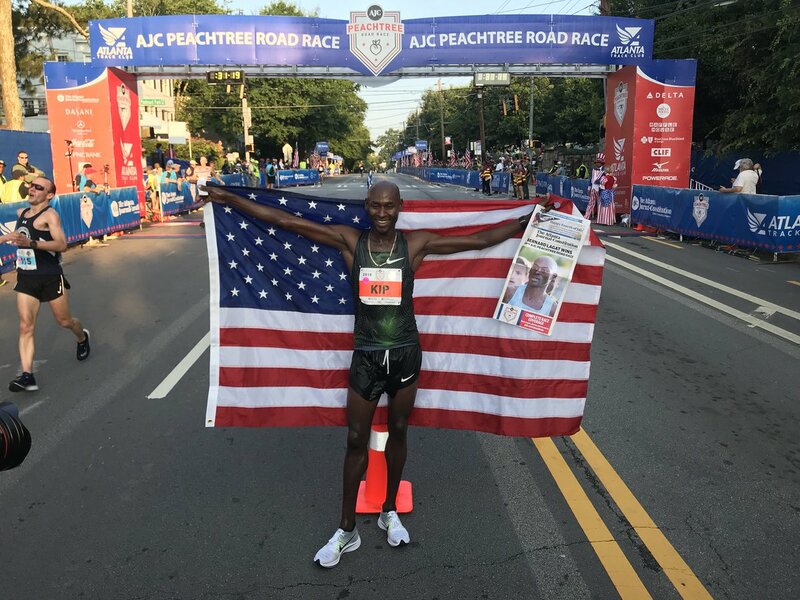 41-year-old Abdi Abdirahman, who was the top American in 7th last year, returns and 43-year-old Bernard Lagat, the US record holder at 1500 and 5000, will make an intriguing debut this weekend. We break down the U.S. men’s field in detail below and tell you what to look for in New York this week. The 2020 Olympic Trials are 16 months away, and aside from Galen Rupp, it’s impossible to say with confidence who will be on the U.S. men’s marathon team. 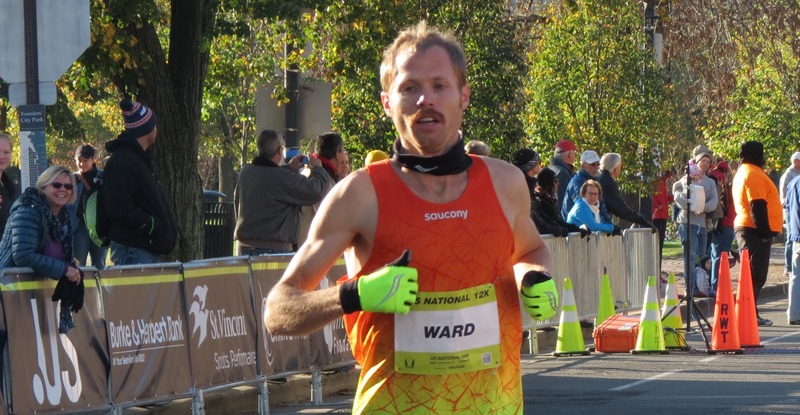 Jared Ward, who was sixth at the Olympics in 2016, has battled injuries over the past two years; his best time post-Rio is just 2:15:28. 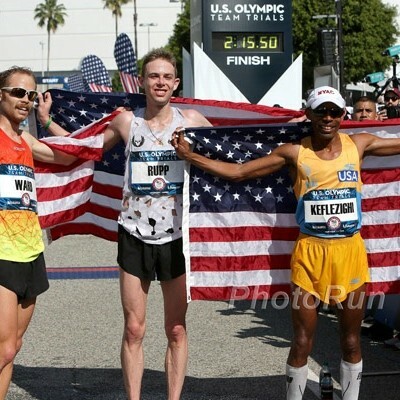 Meb Keflezighi, the third member of the 2016 squad, is 43 years old and retired (though he’s considered coming back in an attempt to make his fifth Olympic team). Outside of Rupp, it’s been four and a half years since an American broke 2:10 (Meb at Boston in 2014). Last week came the news that Rupp underwent Achilles surgery following his 5th-place finish at the Chicago Marathon. He will not race another marathon until the fall of 2019 at the earliest. Someone has to step up in his absence. Right? Several of the contenders for the title of “Best American Marathoner Not Named Rupp” will be in New York on Sunday. Recently, NYC has been the domain of the old guard among American marathoners. Here are the ages of the top U.S. men’s finisher in New York the last four years: 2015: 39 (Meb), 2016: 40 (Meb), 2017: 39 (Abdi), 2018: 40 (Abdi). Abdi Abdirahman will be back in 2018, as will Bernard Lagat, making his marathon debut at the age of 43. And while it would be incredible to see one of those men finish as the top American on Sunday, it doesn’t speak strongly for the future of the event in this country if the best we’ve got are a couple of guys in their 40s. Lagat and Abdi competed at the 2000 Sydney Olympics! Isn’t there a masters category for a reason? Here’s a crazy stat for you we came up with while we were working on our international men’s preview: Tesfaye Jifar was the first Ethiopian man to win the New York City Marathon. He won it in 2001. He’s been retired since 2005. His age? Right in the middle of Abdi and Lagat at 42. As mentioned above, the U.S. Olympic team picture is murky, but if we had to pick the team, Biwott would be the guy we’d feel most confident in outside of Rupp due to his age and recent results. 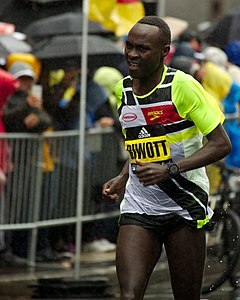 Yes, his PR is “only” 2:12, but it’s been four years since Biwott has run a non-rabbitted marathon. And that makes sense: he’s not going to contend in Berlin or London, but he has piled up three top-five finishes in the U.S. majors (5th ’16 NYC, 4th ’17 Boston, 3rd ’18 Boston). That doesn’t guarantee he’ll be the top American on Sunday — remember, Abdi beat Biwott in New York last year — but Biwott is consistent and the New York course suits him. Biwott has often flown under the radar since graduating from Oregon in 2009 — he was unsponsored as recently as 18 months ago but has now found a home with Hansons-Brooks. If he can finish as the top American on Sunday, he’ll be in the driver’s seat for the second spot on the plane to Tokyo. No one would have blamed Abdi for retiring after missing out on a fifth Olympic team in 2016 (he was injured and had to pull out of the Trials), but since then he’s resurrected a marathon career that had gone dormant after the 2012 Olympics (he ran just one marathon between August 2012 and November 2016). He began by taking third in New York in 2016 and returned to take seventh last year after hanging with the leaders for 22 miles despite an early fall (in between, he took sixth in Boston last year). Abdi still wasn’t happy with that performance, but if he can finish as the top American at age 39 and 40, what’s to stop him doing so at age 41? Let us begin by saying that we love that Lagat is even trying the marathon. This is a guy who ran 3:26.34 for 1500 meters — the second-fastest time in history — and he did it 17 years ago. He’s five months older than Meb Keflezighi. That Lagat, a famously low-mileage guy for his entire life, is out in New York trying to compete with the best in the world is impressive in and of itself. But here’s the thing: Lagat could actually be one of the country’s best marathoners. He’s done some solid long runs (check out this effort, a 22-miler at altitude — the longest run of his entire life — in which he averaged 5:40/mile pace) and his results on the roads this year show that he is still a force to be reckoned with. He ran 62:00 for the half in Houston in January (#6 on the 2018 U.S. list, and tops among Americans entered in NYC), was 31st at the World Half Champs (one second behind newly-christened 2:09 guy Cam Levins) and won the U.S. 10k road champs in July, defeating Lopez Lomong, who won the US 10,000 meter title on the track this year, in the process. Lagat told Runner’s World that he’s targeting Meb’s 2:12:21 U.S. masters record, a time that would have taken top American honors in New York in four of the past five years. 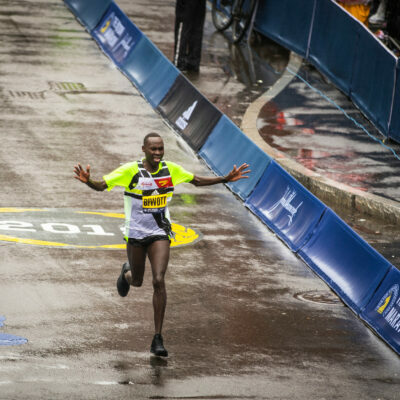 Still, success at the shorter distances does not always correlate to success in the marathon. Just ask Augustine Choge. Like Lagat, Choge was a stud at the shorter stuff (3:29 1500 pb) and is a much better half marathoner than Lagat (59:26 pb), but he dropped out in his marathon debut in Chicago. Lagat said that he’s been doing 70-75 miles a week with two doubles per week. Even though Lagat has two decades of miles in his legs, it’s hard to imagine someone — even someone as talented as Lagat — being an elite international marathoner without cracking 80 miles per week. That said, it’s also not hard to imagine New York going slow through the first 20 miles with Lagat quietly biding his time (remember, the leaders were only on 2:12 pace through 22 miles last year). From there, it’s anyone’s guess as to whether Lagat will have anything over the final 10k. But it will be a lot of fun to see if he does. Derrick has had some good races (he won US half marathon champs in May in 62:37) and some bad ones this year (29:29 for 10th at the US 10k road champs) but none since July 4, so we don’t know exactly where his fitness is at right now (we’ll find out later in the week at the media events). But he’s got one of the best coaches in the game in Jerry Schumacher, and given his track pbs (13:09/27:31), he should be capable of running close to 2:10. He probably won’t do that on this course, but assuming he’s improved from marathon #1, he should be in the mix with the top Americans in NYC. Fauble debuted with a 2:12:35 in Frankfurt last year and has followed that up by posting several strong results on the roads this year. He ran 62:58 to finish 5th at the NYC Half in March (beating Derrick, Biwott, and Abdi in the process), took second at the US 25k champs in May, and most recently ran an impressive 62:18 half marathon pb at the Great North Run. He’s also put in some strong long workouts. He and HOKA NAZ Elite training mate Smith ran the first 17+ miles of the Chicago Marathon at 2:12 marathon pace, towing along teammate Aaron Braun (Fauble and Smith dropped out, as was the plan. Braun ran 2:13:16). Fauble also ran a killer session at 6,500 feet on September 26: 12 x mile with 1 minute of rest between reps (90 secs after the 4:50 and 2 mins after the 4:40, per Fauble’s log). His splits: 4:56/4:56/4:56/4:50/4:56/4:56/4:56/4:40/4:56/4:56/4:56/4:30. Smith ran that workout as well (he was slower on the last rep, though), and he and Fauble have run everything workout together for the last eight weeks. 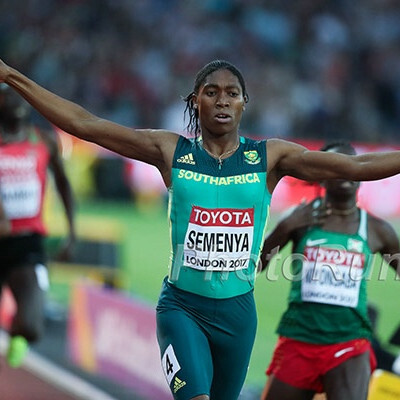 Smith’s buildup was shorter than Fauble’s — about 10-12 weeks compared to 20 — as Rosario believes the 32-year-old Smith, who is running his eighth marathon, doesn’t need to put in quite as long a buildup as the 26-year-old Fauble, running his second. As a result, Fauble, with two extra months of workouts under his belt, trounced Smith at the Great North Run, but Smith has run well in each of his last two marathons — he beat Fauble in Frankfurt in a PR of 2:12:21 and was 6th in Boston in April. Rosario did not want to lock in a place goal for his charges in New York, but feels that they are both prepared to succeed. Two years ago, Ward finished sixth in the Olympic Games, but he had been battling a stress reaction in his pubic bone in the buildup to that race and struggled to get over that injury last year, placing 10th in Boston and 12th in New York. Though he did run a 62:10 half in Houston in January, he skipped the spring marathon season this year, and just when it looked as if he was over his injury problems, he dropped out of the Usti nad Labem Half on September 15 with a hamstring problem. The 2016 version of Ward would be a good bet to place highly in New York, but we haven’t seen that version for a long time. Vail is another athlete who has battled injuries in recent years, but he’s put in a good buildup for New York and is coming off a 62:19 half marathon at last month’s Great North Run — his fastest time over 13.1 miles in six years. 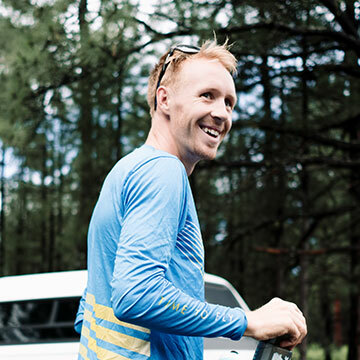 At his best, Vail is capable of finishing in the top 10 at World Marathon Major events — he’s done it three times in his career, including a ninth in New York in 2014 — and a good day could see him make it four in NYC, though it’s hard to see him beating out all the guys on this list for top American honors. Ritchie, who was hired at UMass in April, has to be the fastest head distance coach in the NCAA, as he ran 2:11:55 to win the US marathon champs in Sacramento last year. His results so far in 2018 haven’t turned heads, however. He was 23rd at the US XC champs in February, DNF’d Boston (everyone gets a pass on that one), was 8th at Falmouth in August and, most recently, could only manage 16th at the US 20k champs in September. Still, he’s clearly got some potential in the marathon. He’s the only American other than Rupp to break 2:12 since the start of 2017, and the way he ran that 2:11:55 at CIM (66:52-65:04 negative split) suggests that he could go even faster one day. Who will be the top American finisher at the 2018 NYC Marathon? LRC Prediction. We won’t make our official pick for top American until after the press events this week when we get to talk to everyone. More: Full men’s preview: LRC Who Is Going To Win The 2018 NYC Marathon? Geoffrey Kamworor Defends As 2:04 Men Tamirat Tola & Shura Kitata Chase First WMM Victory.